Satellites in near-Earth orbit are at risk due to the steady increase in space debris. But their mission in the areas of telecommunications, navigation or weather forecasts is essential for society. Fraunhofer FHR has developed radar-based systems which allow the detection, tracking and cataloging of even the smallest particles of debris. Satellite operators who have access to high-precision orbital data for the largest possible number of these objects are in a better position to plan evasive maneuvers and prevent destructive collisions. Fraunhofer FHR and its partners recently exhibited the complementary radar systems TIRA and GESTRA as well as the latest radar techniques for space observation at the ILA Berlin Air Show. The "traffic situation" in space is very tense: the Earth is currently being orbited not only by countless satellites but also by a large volume of space debris resulting, for example, from burned-out rocket stages and fragments of exploded space objects. These are gradually transforming the orbit into a junkyard. Approximately 20,000 objects with a minimum diameter of ten centimeters are presently orbiting the Earth at an average speed of 25,000 kilometers per hour. Added to this are 700,000 smaller objects with a diameter greater than one centimeter. Due to their enormous speed, these small debris particles can also damage or destroy active satellites. Even more disturbing: the space debris population is steadily growing due to a snowball effect. When two particles collide they create new, smaller particles. In the absence of appropriate countermeasures, the junkyard is expanding rapidly and could put an end to space travel. Collisions between space debris and satellites can be prevented by means of evasive maneuvers. Maneuvers of this kind are, however, time-consuming and tie up valuable resources and are therefore only required by operators when the satellite is in real danger. Comprehensive cataloging of the space objects and high-precision orbit determination of the potential collision objects are essential to assess this risk. Radar systems can carry out both of these tasks. A total loss of contact between an operator and his satellite may well be attributable to damage caused to the satellite by space debris. Imaging radar systems have two important advantages: they can operate during the day or at night and they are completely independent of the weather conditions. Hence, they are capable of detecting and analyzing damage at any time. Furthermore, the resolution of the radar - in contrast to optical systems - is distance-independent. As a result, the operator's mission can be optimally supported through the timely provision of important information. 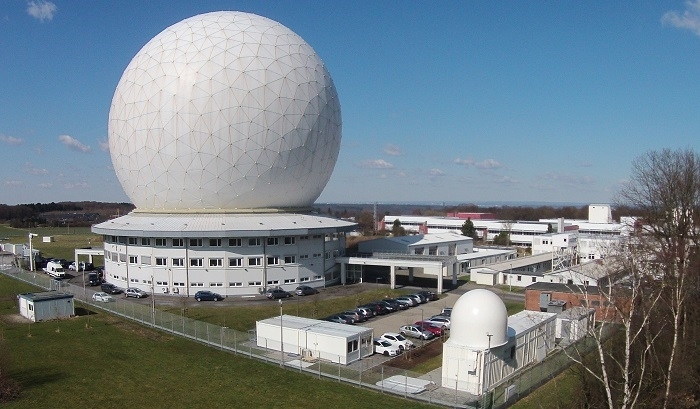 With its tracking and imaging radar TIRA, the institute in Wachtberg near Bonn possesses a space observation system with capabilities that are unique throughout Europe. This system combines a highly dynamic 34-meter parabolic dish antenna with a high-precision tracking radar in L-band and a high-resolution imaging radar in Ku-band. Typical tasks, apart from orbit determination and damage analysis, include the identification and technical analysis of satellites. This is possible due to the imaging radar and its radar images which are characterized by high radiometric and spatial resolution. Moreover, all phases of the space mission, extending from the launch and operational phases to the re-entry phase, can be supported with the radar data from TIRA. The researchers also focus on the further development of technologies, processes and algorithms to ensure that radar can be used to extract a maximum of information on space objects – from active satellites to space debris. Seamless and continuous space surveillance requires yet another type of radar: Helmut Wilden, Project Leader GESTRA (German Experimental Space Surveillance and Tracking Radar) explains: "Phased arrays, i.e. electronically controlled array antennas, are capable of conducting large-scale space surveillance in near-Earth space around the clock. Using electronic beamforming, they can change their line of sight in a fraction of a second. 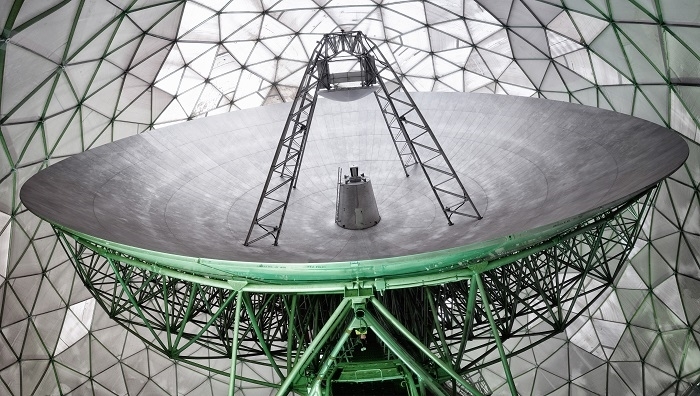 The new space surveillance radar GESTRA, which is currently being developed by Fraunhofer FHR for the aerospace management of the German Aerospace Center, is equipped with an electronically steerable antenna. 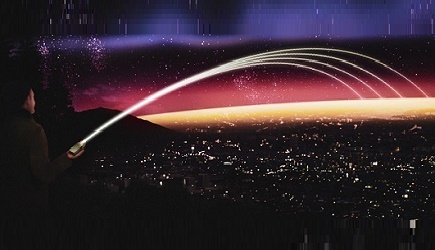 This antenna system is able to scan large areas of the sky within milliseconds due to the integration of the latest semiconductor technology. The sensor consists of a transmit and receive module, each of which is integrated into an 18 m x 4 m x 4 m shelter. Due to its compact design, GESTRA is a mobile system which can be transported to any required location. When put into operation in 2019, wide-range surveillance of the debris population in near-Earth space (orbital heights of 300 km and 3000 km) will be possible from German territory for the first time. GESTRA will then operate continuously to create a catalog of the debris in near-Earth space. This new data basis will have a great influence on the further development and operation of the space infrastructure of Germany and Europe. In addition to the ability to design the hardware needed for such systems, the institute also has the expertise necessary for the development of the corresponding radar operation control software. The development of complex algorithms for best possible processing of the signals from the received radar data is a further core competency.